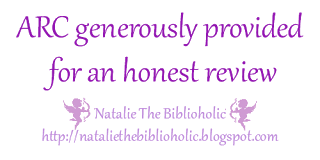 ARC Review: The Mafia And His Angel Part 2 by Lylah James | The Biblioholic ~ Read more. Sleep less. This installment picks up where Part I left off. Alessio and Ayla are growing closer, despite the turmoil that surrounds them. The side characters were almost as interesting as the main ones and added plenty of depth and perspective to the story. Things start off smoothly and stay that way for most of the book. There were many lighthearted moments mixed in to liven things up. And then the author throws in a whammy, thrusting the reader into an intense world of captivity, pain, devastation, and the quest for truth. Part II was definitely darker than the first part, but first the author lulled me into a false sense of security and contentment as she continued to build the foundation of Ayla and Alessio’s relationship. We get more than casual glimpses of Ayla’s innocence and naivete and Alessio’s dance in the light that was cast by his angel. Their love transcended everything that stood in their way, including the secret Ayla continued to keep. However, that secret came around to bite her in the azz when the traitor in Alessio’s midst brought her to the enemy. Then the story takes a turn into the depraved while Ayla’s being tortured and Alessio is turning the city upside down and letting the streets run red trying to find her. Due to Alessio’s overwhelming feelings for Ayla, which have become obvious to the rest of the Bratva, there are murmurs of anarchy among the troops. Can Alessio continue to rule as the Pakhan while hunting down his Italian targets in his search for his lost love? Who is the rat? Will Alessio find Ayla in time? What will become of this couple? I truly thought this was a duet so imagine my surprise when I get to the end of the story and it’s to be continued. Every moment, scene, and event leading up to the ending took me on a crazy ride with these people and their antics and I’m excited to find the thrills that will be waiting for me inside Part III.